¿ Search by reference ? We offer a large and varied selection of properties for rent and for sale in Zahara de los Atunes, Vejer de la Frontera, Atlanterra and the entire southern province of Cadiz including luxury villas, apartments and town houses. We offer hand picked holiday homes, in top locations. 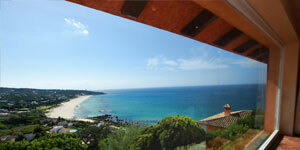 Luxurious villas on the beachfront as well as traditional and historic homes in Vejer de la Frontera. Zahara de los Atunes is located in a priviledged spot of singular beauty. Miles of sensational beaches, green hillsides with oak and olive trees and a rich cultural and culinary tradition, make of Zahara one of the last hidden treasures of Spains coastline. Putting quality first is our priority. Though not always an easy task, the projects we have managed and the constructions we have completed as a result speak for themselves. If you wish to rent or sell your property, why not leave it in good hands: our experienced team of professionals will take care of it. Follow us on facebook and always get the latest news on our business and the area, its history, culture and gastronomy. With more than ten years of experience in the luxury real estate industry, we are highly qualified to meet your needs and guarantee your success and satisfaction. Before closing any rental or sales transaction, we always make sure to have chosen the best option for our customer. We have picked our rental villas carefully to create a small but varied portfolio of top quality homes. As a result, we offer you a fine selection of exquisite, luxurious homes. The environment of Zahara de los Atunes is a truly unique heritage. Sustainability and the preservation of our natural environment are the hallmarks of our work.